Dunlop is once again on the look-out for the best multi-skill construction student in the UK following the success of its inaugural competition last year. The Dunlop Multi-Skill Champion Competition is the only one of its kind in the UK to recognise students across the UK taking the City & Guilds Construction Skills (6219) qualification. Judges at the Grand Final this year include Nicola Butcher, aka “The Female Chippy”, a multi-award winning carpenter, Wayne de Wet, professional decorator, renowned industry expert and former Dulux Select Decorator of the Year Grand Winner and Dave Rowley, lead judge for the national SkillBuild finals for wall and floor tiling and Training Manager at Dunlop. Back in June 2016, 14 year-old Kenneth Sylvester from Doncaster College took home the title of Dunlop Multi-Skill Champion 2016 and more than £1000 worth of tools and products after triumphing in the Grand Final at the manufacturer’s Innovation and Technology Centre in Stoke-on-Trent. “Kenneth was a deserved winner and proved that whatever your age, if you work hard enough you can achieve anything you want. 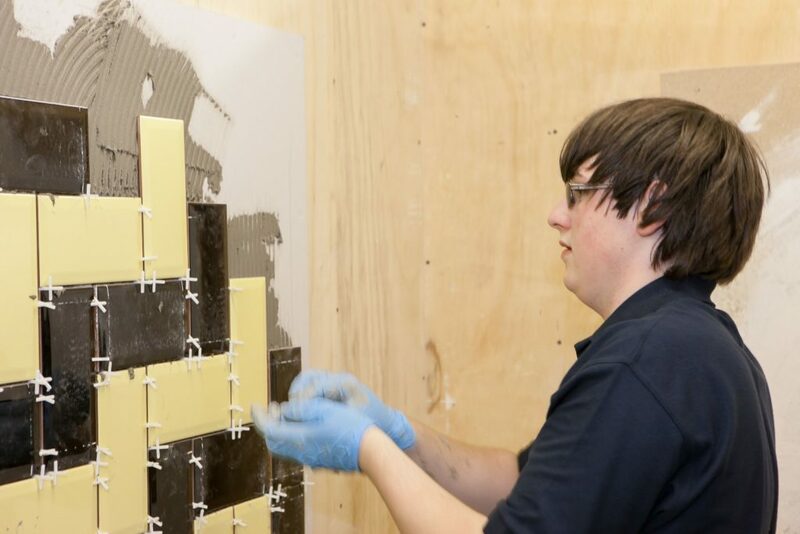 “Multi-skill students are often overlooked and under supported compared with other trades, but as the tradespeople of tomorrow they deserve support and recognition. As a leading manufacturer for the trade and key training partner for colleges, Dunlop supports each college who enter students into the competition by providing free training product and learning materials. What’s more, each college who enters the competition will be visited by a Dunlop Product Support Technicians to give free training and present a trophy to the individual nominated by the college to compete in the Grand Final. For more information or to enter the competition, colleges should email gbirks@building-adhesives.com or phone 01782 591120.